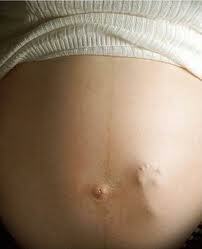 We know that the unborn baby is a conscious being long before birth. But when does this consciousness begin? Mothers (and sometimes fathers) can also feel deeply connected to their babies before birth. Here four mothers share their experiences of communicating with their babies, sometimes as far back as conception and the effect that it had on their lives and on the bond between them and the child. It was a very big decision whether or not to have a child, says Natasha. The nine months we spent deciding, were the hard ones, not the pregnancy. Finally we made our decision and I went to the doctor to have my loop taken out. She did say to me, “You are probably quite fertile at the moment”, but I didn’t realise that I was ovulating that very day. My husband, André was under stress at work at the time, so I felt there was no rush to conceive immediately, and we just fell asleep together. But I was pleasantly surprised when he woke me in the middle of the night, wanting to make love. I knew from that moment that I was pregnant. André told me much later that he knew from that moment too. As we were lying together drifting back to sleep, I had a very strange sensation. It started at the top of my head and I felt as if I was spinning into a vortex. I believe now that it was the spirit of my little girl coming in. Of course there was part of me that couldn’t quite believe it, but on another level, both André and I knew that I was pregnant without having had a test done. It was almost as if the baby had told us both that she wanted to come now. The pregnancy was easy and the birth, with a midwife, went fine. After André had gone back home, I lay with my baby on my chest, loving her totally. I could hardly believe she was real. So it was a shock to me when a couple of months later, I went into a very bad postnatal depression. But even when it was at its worst, I was able to remind myself how my baby had been conceived, and that was one of the things that sustained me, along with getting help at home and having therapy twice a week. Looking back I think that was something important that I needed to go through so that I would have the skills to help others. There were many things I needed to learn and my baby had come to be my teacher. Once the depression lifted I was able to feel the depth of love I had for her once again – it was magic. She is a very strong, spirited little girl today and very loving. We are both so glad that she has come into our lives. I had always wanted to have children, so when I finally married at 36, we decided to start a family right away, says Pamela. Three months later, when I still wasn’t pregnant, my husband Andrew and I went for tests. The news came back that we would both need infertility treatment. I also had to inject myself with hormones, and in the days just before ovulation, my doctor did scans to watch the eggs ripening. But month after month there was no good news. Then one sunny September afternoon, about a week after ovulation, Andrew and I were out in the country walking among the spring flowers. Suddenly, for no reason I can explain, I said to him, “Implantation just happened – I am pregnant!” I don’t know how I knew. I just knew. It was as if there was a luminous ‘presence’ with me. Part of me kept thinking I was making this up, but in the days that followed I discovered I was indeed pregnant. Apart from the physical confirmation of the pregnancy (which was without other symptoms except for a metallic taste in my mouth) the most wonderful part of the experience was the feeling there was a ‘person’, with me. I was floating on a cloud; so happy I couldn’t believe it was true. I also had more energy than usual, and spring-cleaned the house from top to bottom. It wasn’t just me who was feeling excited either – we went to a “Design for Living” exhibition, and I couldn’t tear Andrew away from train sets and teddy bears. When he was a child he had asked his mother for a big teddy bear but been given a small one. His child was going to have the biggest teddy bear he could find! And regardless of whether it was a boy or a girl, it seemed our child was going to have a train set too! All went well, and I started buying baby clothes, even though it was still very early days. Then one Sunday evening, I went to bed feeling a little strange. In the night I dreamed I gave birth and I saw the baby’s face clearly. It was a very touching dream, but when I woke, the ‘presence’ of the child was gone. I phoned Andrew at work and told him, “The baby has left. It’s not with me anymore”. He told me not to be negative, but I knew that the ‘presence’ had gone. Much later in the day I started bleeding, so I called him again and said that it really was over. He was very upset and told me once more not to be negative as a woman can have some bleeding, but not lose the baby. But I knew it was over, and it was. I know that it is normal to grieve deeply at the loss of a baby, even early in the pregnancy, but for some strange reason, though my husband took it very badly, it was easier for me. I will never forget the experience. I just felt incredibly blessed that a little soul had been with me for those few short wonderful weeks. It was like being visited by an angel! My second pregnancy was a complete surprise, says Catherine. We already had a toddler and were happy with our child. But we weren’t planning to have another yet. Our living situation was quite difficult at the time, and when I discovered that I was pregnant again, I didn’t know how I would cope. I became very depressed and cried a lot. Then one day at about 5 months into the pregnancy, as I was massaging my abdomen and talking to him, he pushed his little fist out so I could feel it clearly through my abdominal wall. He actually put his hand right into the palm of my hand, and kept it there. I felt as if he was saying, “It’s okay mom, I love you, I’ll help you, and we’ll get through this together.” It was a very important turning point for me, and from that time I started to feel really connected to him. We had moved from the city to a smaller town, and I was unable to find a midwife or doctor willing to deliver my baby at home, like our first child. But since I am an experienced midwife myself and because my first labour had been fairly short, my husband Mark and I decided to have the baby at home on our own. It was a very powerful experience. Mark helped deliver the baby, and my oldest son cut the cord. Afterwards we all got into bed and snuggled together. It was very special and helped us to feel like a family. I have three children now, but still feel very close to that middle child. Because I was on the Depo-Provera injection, I seldom had periods, so finding out I was pregnant for the third time was a big surprise, says Lindiwe. I didn’t know till I was about 5 months along. I already had a son of 6 years old, and had lost a baby in-between. So it was time for another child and when I discovered I was pregnant again, I was very happy. When I went into labour two months later, we knew the baby was coming early. I was taken to Groote Schuur Hospital, and there, my tiny 1,4 kg (3,08 lbs) daughter Portia was born. It was in the days before they started doing Kangaroo Mother Care (see article on Kangaroo Mother Care) so she was taken away from me and put into an incubator. But I had breastfed my first child for more than two years, and the staff were happy to see that I knew how to feed a baby. I started expressing breast-milk right away, and held her as much as I could. Soon she was breastfeeding beautifully. The hospital normally kept the babies there till they weighed 1,8 kgs, (3.96 lbs) but little Portia was doing so well, that they let me bring her home earlier. I returned to work right away as my employer encouraged me bring Portia with me so I could breastfeed her through the day. Sometimes the lady I work for carried Portia around in a kangaroo sling, so we shared looking after her when she was tiny. I continued to bring her to work with me till she was more than 3 years old, and we were never separated in her early years. My baby was indeed unexpected, but she was a very welcome surprise and I love her dearly. I don’t think you need to know when your baby’s life began in order to love them. Babies can see and hear long before they are born. They can ‘learn’, can ‘feel’ and sometimes even cry while still in the uterus. The unborn baby sleeps and dreams, likes sweet tastes – not bitter ones, and prefers Bach to Beethoven. In fact cellular consciousness begins at conception, and has been described by psychiatrists Dr Graham Farrant in Australia and Dr Frank Lake in the UK, among others, while Dr Thomas Verny in America has taught us a lot about how babies experience life in the womb. But there is another kind of consciousness – an ability to communicate it that is not so easy to explain in physiological terms, yet it is experienced by many mothers whose lives were changed forever by the experience. This entry was posted in Pregnancy and tagged baby, birth, communication, conception, conscious conception, foetus, help, helped, kangaroo mother care, love, midwife, newborn, pregnancy, pregnant, pregnant mothers, pregnant mums, unborn baby, womb. Bookmark the permalink. While I loved each story and each one struck I cord, I can relate the most to Natasha’s story. I was in tech school (for the Air Force) and living away from my husband at the time. I remember while running one night, listening to my ipod, the song ‘You’ll Always Be My Baby’ by Sara Evans came on. I stopped running and I just looked up at the stars and said a prayer out loud to my baby before even conceiving him. I said, If you will you bless me by making my womb your home, I promise you will be so loved and taken care of. Please I’m ready for you. I need you and I want you. After the next week or so I went home for our four day labor day weekend break. I wasn’t even sure I was ovulating, but I just knew this would be it and my husband and I made love that weekend. And I just knew, even my best friend and her mom knew the day after (without me saying anything). So two weeks later, when I was only three days late, I took a test and it was positive. I just sank to the floor in tears I was so happy. I have never had a regular cycle and so being three days or more late was common but I just knew. Then of course I thought what if it’s a false positive so I headed to Wal Mart to buy four more tests. All positive. That monday morning I went to get a blood test to make it official and it was positive! I showed my husband the tests on Skype, he was surprised but very happy! So lovely to hear of a child who was so wanted — thank you for sharing your story! I was in an abusive relationship with a man who is very controlling and angry. I did not even want this relationship, it was forced on me. It took 2 years to get help and have the courage to leave–when I had a dream that I was pregnant with a son. I even heard the name of the baby in the dream, in Hebrew–and the baby’s name meant “He is to Live”. I was so impressed by this dream that I went to get a pregnancy test, positive! The second test, also positive. I held that test by my desk at work all day then rushed to the doctor’s office when I was off. The doctor looked at me funny when I came in and said women don’t come in this early for a pregnancy test, you must be mistaken. She was surprised also for a positive result..my little boy was here! I told the father about the pregnancy and he immediately wanted an abortion, he said he was too old to be a father & did not want to pay child support. I knew I would never abort my baby, I would fight for his life with everything I had. Things were not easy–I had to work two jobs to save money for maternity leave with no help from the father. The baby was pushing on a nerve in my leg so my leg would go numb, and sometimes collapse. I was in PT 2x a week, and still working on up til the day I went into labor. But God has blessed me too–I went to a Crisis Pregnancy Center who was wonderful in giving support & providing things the baby needed (diapers, clothing, car seat etc). I had so many unexpected blessings come my way…and met knew people to be a family to my baby and me. What a sad but beautiful story. I am sure you are a lovely mother to this little boy, who has come to enrich your life. I found this site after trying to make sense of what happened to me recently. I have 2 children from a previous relationship. I had met a lovely guy but the first time we slept together, as I was waking up, but still not awake properly, I had a vision of a little girl, aged about a year. She had an amazing smile, and looked a bit like my niece. She had very dark hair (like the guy). The vision was like a photograph and was over to my left. I then woke up properly and felt nauseous. It hit me like a lightning bolt that I was pregnant. I had never experienced that knowing with my other 2. Anyhow, over the next 2 weeks I was struggling with really bad nausea, exhaustion and other symptoms. I knew I’d have the baby regardless. But I also realised what a huge strain it was going to put my family under. I was preparing myself to tell the guy when I had a very early miscarriage. I ended up not telling him anything (I feel bad about this) and calling the relationship off. He still doesn’t know. I feel a real loss and keep thinking about this little girl. I’m wondering what the lesson is here for me to learn. Pat – I am writing a book on choice making. A section of it is how parents influence babies while still in the womb. May I have written permission from you stating that I may use a portion of the section, highlighted in pink (just above the suggested reading portion of your article)? Hi Jonathan, I have just found this now — a year late I am afraid. Yes, with pleasure you can use the quote — please just credit it to me and put up a link. Thanks! I am 18 years old, and even though I took a negative test about a week and a half ago, I KNOW that I’m pregnant. So it all started a couple Fridays ago when my fiancee’s sister, who is clairvoyant, put her hand over over my womb and told me I was pregnant. This made me ecstatic because when I was younger, I went through a time when I was really depressed and, at times, very suicidal. One of the only reasons I held on was because I wanted to be a mommy someday. I don’t know how to explain it…I just sensed something in there. Today, December 1st was when I should have got my period, but I haven’t got it yet. Last night, I had a dream about my child in my stomach. Charles put his hand to my stomach in the dream, and my son put his hand out, and it was like I could telepathically hear him say, “I love you, mommy and daddy”. I have also been having visions of a little red haired boy with brown eyes (Charles has red hair and I have brown eyes). And it’s like I keep feeling this feeling inside me…I don’t know how to explain it other than absolute, unconditional love. I also knew the baby’s name, which was Dean Thomas Blodgett, which was the name that Charles and I had jokingly talked about one day if I actually WAS pregnant….So I am about to take me next test today, I am pretty excited to find out. Luck and prayers, please!